No. 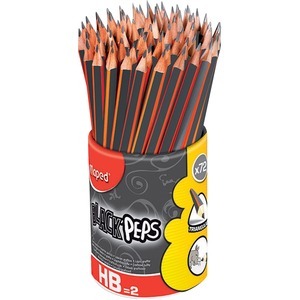 2 pencil is made with high-quality lead for smooth and even handwriting. Triangular-shaped barrel prevents rolling off smooth surfaces for convenient use. Responsibly harvested, elm wood construction sharpens easily in all standard pencil sharpeners (sold separately). Latex-free eraser allows quick, simple corrections when needed.